Local marketing company 1bg hosted a fall meet and greet with neighboring business from their office building in Lakewood, Colorado. 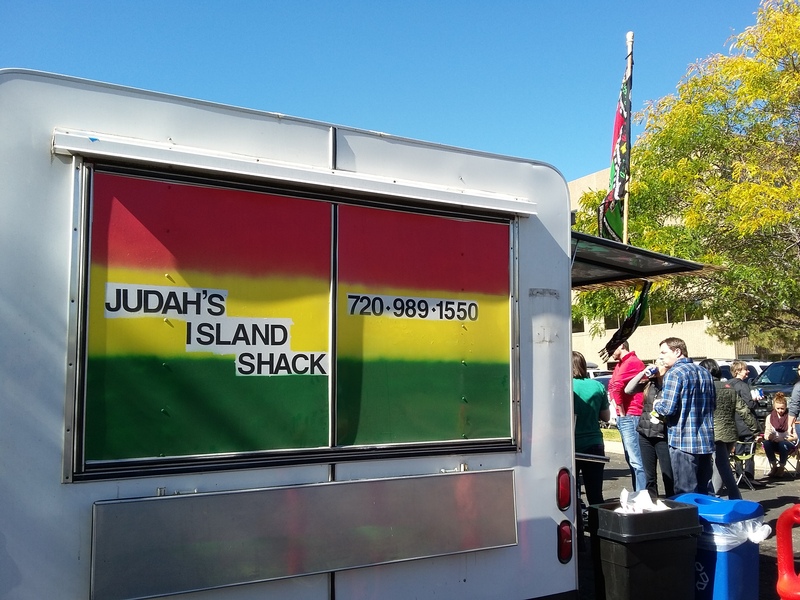 Denver food truck Judah’s Island Shack served delicious tacos, burgers, and pulled-pork sandwiches to the tune of reggae music. It was a beautiful fall day for neighbors to mingle and toss a football, but the event also had a mission. 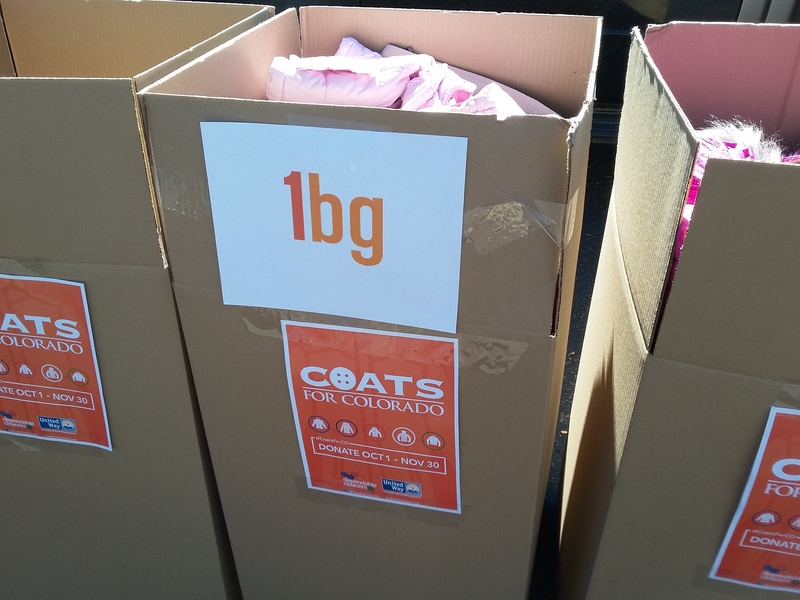 1bg set a goal of collecting 100 coats at the event to donate to Coats for Colorado. The generosity demonstrated was truly inspiring. 1bg collected 125 coats leading up to and on the day of the event, and many guests pledged to bring coats in the coming weeks. One company in the building, Vesta (a general contracting company) even went out and purchased brand new coats to match the number donated by their employees! 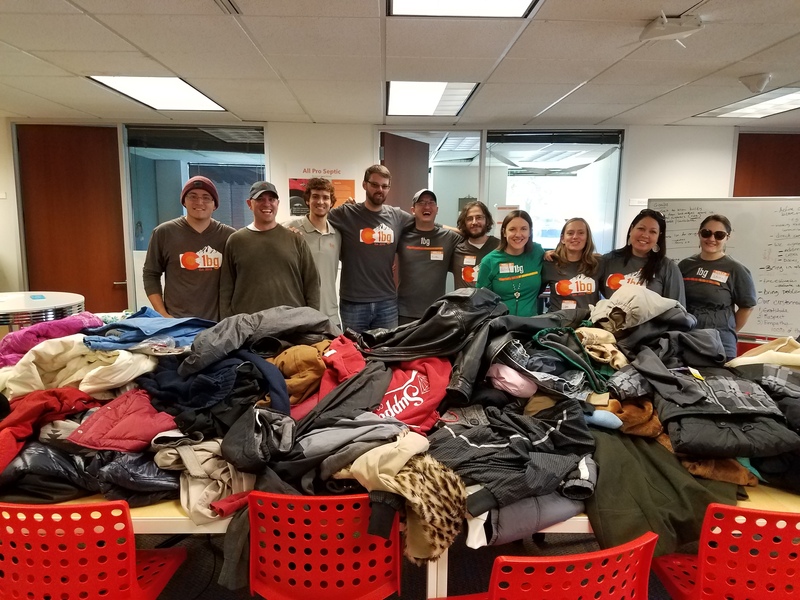 When 1bg’s marketing coordinator, Natalie Bograd, dropped off the coats at a nearby Dependable Cleaners, the size of the donation both surprised and slightly overwhelmed the staff. “They had a tiny collection bin that could hold a few coats at most. The staff had to keep wheeling out more bins to accommodate four large boxes and four bags of coats,” said Bograd. 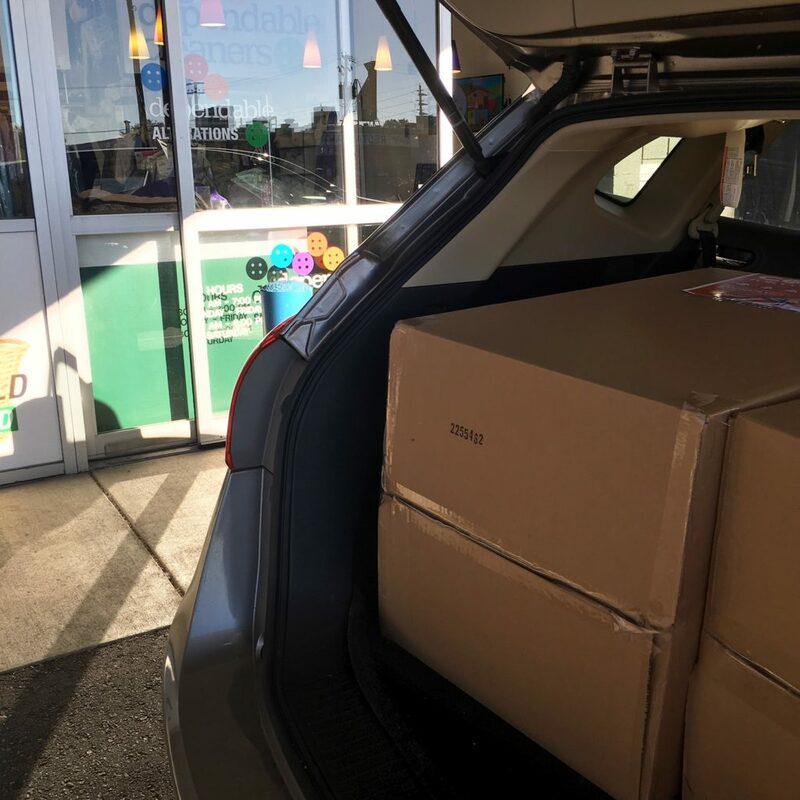 Bograd continued, “They said ours was the largest donation they’d seen so far this year at their location.” Coats for Colorado accepts donations of new or gently used coats through November 30th at any Dependable Cleaners location. 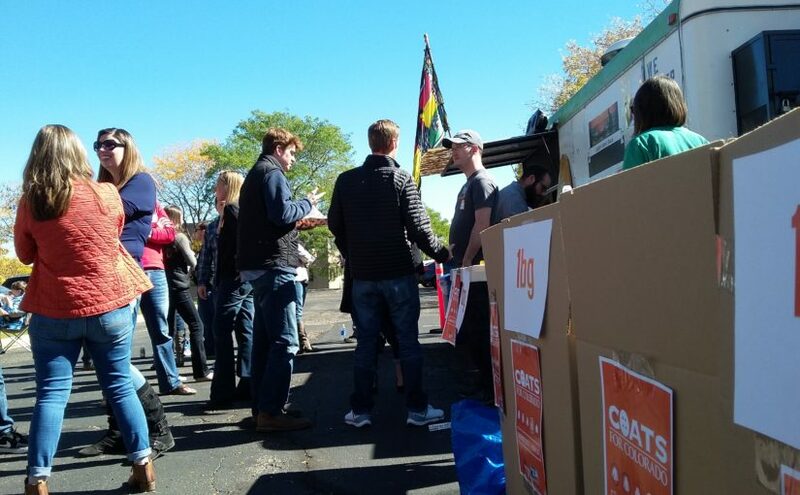 1bg truly enjoyed the opportunity to host our neighbors for this fun and charitable event! 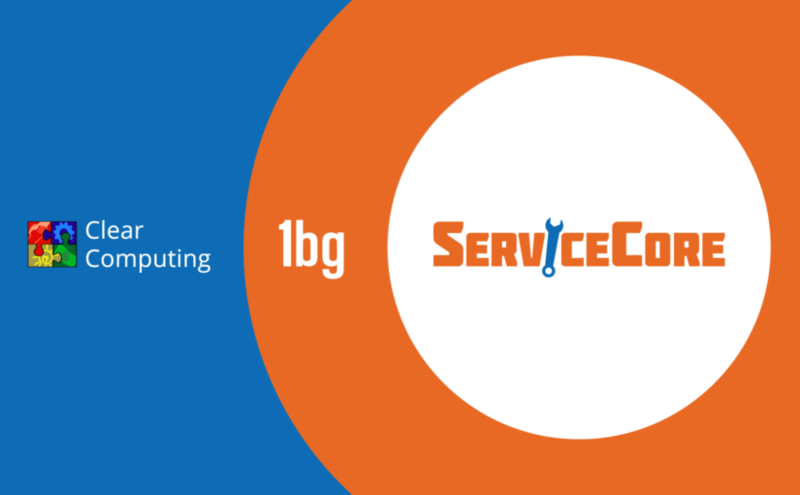 1bg Acquires Leading Internet Marketing Firm, Elevate Loud, Inc. 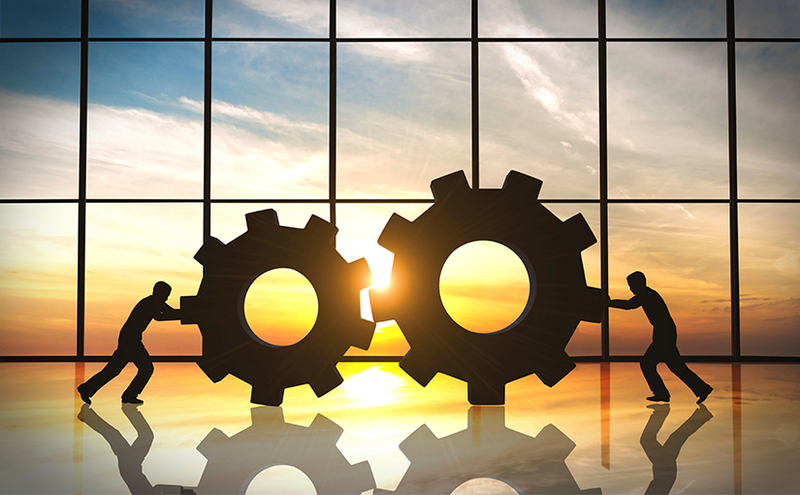 Previous: Previous post: 1bg Acquires Leading Internet Marketing Firm, Elevate Loud, Inc.
We gave received your meeting request and will get back to you right away.